Do you feel nervous before asking a woman for her phone number? Do you feel hesitant when it comes to business negotiations? Maybe you even feel discouraged when it comes to seeking friendship. Today, we’re going to help you radically shift your mindset so that you can feel relaxed and excited when asking for something, whether it’s a date, a deal, or a drink with friends. We’ll also discuss exactly how to handle a rejection and move on to the next pursuit without all the usual grief, fear and turmoil. Everyone experiences at least a small amount of trepidation when it comes to asking for something we’re not sure we’re going to get. No one, after all, enjoys rejection or the feelings that come with it . . . and that’s what it comes down to: we don’t to hear the word “no” because it’s embarrassing and disappointing, and it makes us feel inadequate. 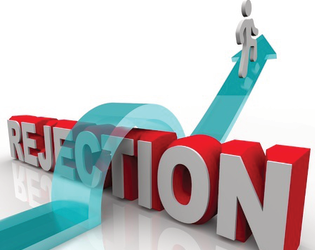 When we’re focused on rejection from the start, we either approach the situation with hesitancy or not at all. Now, obviously, if you don’t approach what you’re going for at all, you’re never going to get it . . . but what about if you approach it with hesitancy? 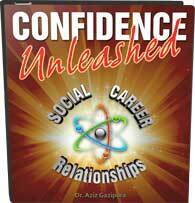 Do you think a lack of confidence is going to make the person you’re approaching want to accommodate you more or less? When we’re not confident about our right to ask for something, we’re basically asking the other person to refuse us—we’re telling them that even we don’t think we deserve it. 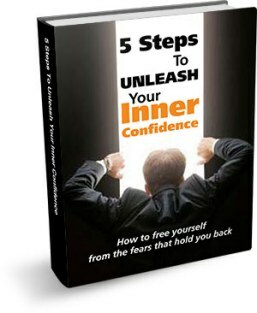 Here’s the thing: confidence is an inside job. It comes from your mindset, your habits, and your emotional habits. These are all things that you set into motion internally, but once they are internalized, they manifest themselves in the outside world as well. Imagine you have two tickets to the Super Bowl right on the fifty-yard-line, and you need to find someone to go with you. Would you feel timid about asking someone to join you in the best seats in the stadium for the biggest game of the year for free? Probably not, because it’s an opportunity that anyone would love to take advantage of—even someone who isn’t into football. Now, imagine if, in that same situation, the person you asked did say “no” for whatever reason. You’re holding two incredible tickets worth thousands of dollars for an event that millions of people tune into every year, and that person can’t be bothered. You’d probably be a little surprised. To be honest, you’d probably rethink your initial impression of that person altogether. How would I act if I knew that hanging out with me was like going to the Super Bowl? You might just find that your energy and the way you handle responses totally shifts. In time, you will be able to accept a “no” and move to the next person with just as much energy, enthusiasm and confidence as possible. Please feel free to “like,” share or subscribe below. You can also check out additional episodes, series and literature by clicking the available links. I love to hear about your experiences as you work toward increased confidence, so please share your comments below. How did this work for you? What did you experience? Share your successes and challenges so that we can support and help each other break free from the confinement of insecurity. Until we speak again, may have the courage to be who you are and to know on a deep level that you’re awesome. I’ll talk to you soon.